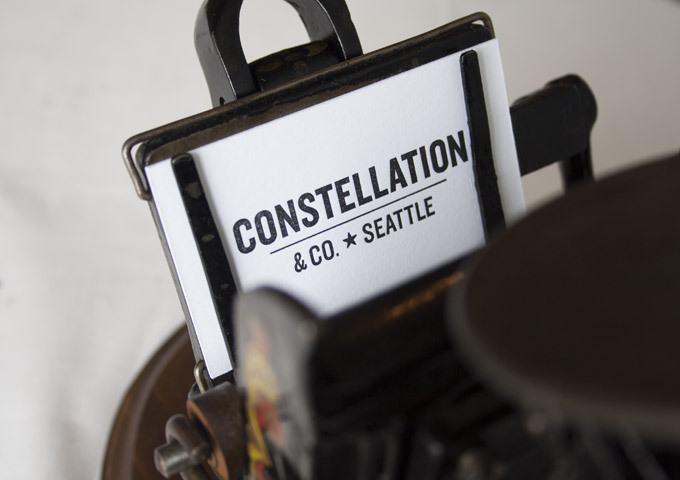 Meet the Presses: Annabelle — Constellation & Co.
Annabelle is a Chicago Printing Press No. 11, made by the Sigwalt Company in the late 1800’s & early 1900’s. These presses were built on exactly the same principals as the large presses of the same era that we use to produce all of our products - this one is just miniaturized! (For example: our Chandler & Price press weighs 1,200 pounds, and this press weighs 8 pounds!) This particular style of press was often used by schools, offices, pharmacists, churches and hobbyists in the way a label maker or desktop computer would be used today. 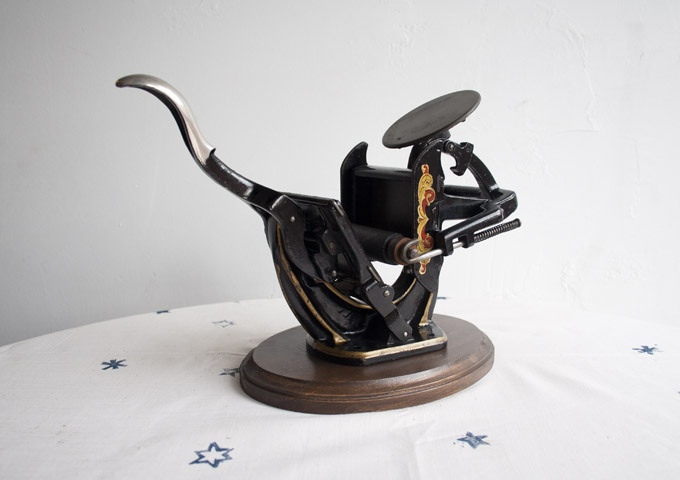 This size & style of press originally sold for $12.00, complete with type, ink, rollers, tweezers, paper, and more! In case you didn't catch it the first time - this press is tiny! The photo above shows one of our business cards held in her grippers. Our little Sigwalt was found in an antique store in Selma, North Carolina. Selma is a very small town (Wikipedia lists their population as just over 7,000), which most people probably don't get a chance to stop at. My parents & sister recently took a road trip through the south, and stopped in at Selma's antique stores. 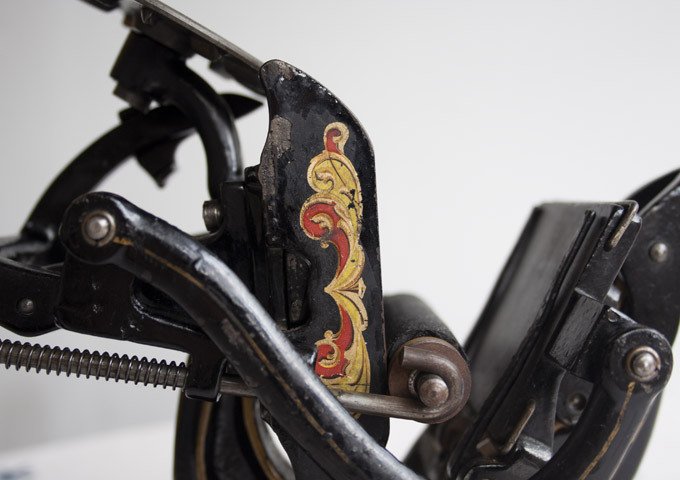 While they were there, they found lots of letterpress goodies - wonderful printer's blocks, and this beauty of a press. My sister (who is 11 and awesome) named her Annabelle, and she made the long trek from Florida in a box my dad custom made for her. Side Note: My family and I have always been close, but since Brad and I moved to Seattle, we've lived really far away. It can be so hard sometimes, living 3,000 miles from the people we love. We love our city, our friends here, and the life that we've built - but there's nothing like family. My parents have owned their own business for 25 years, and they are such a big part of why I wanted to start Constellation. The do it yourself spirit - the sense of integrity in business - the never give up work ethic - I learned these things from them. In the last few years, it has been such a joy to share all i've learned about letterpress with my family. They have been amazing - supporting us in every way possible as we pursue Constellation. And they've learned a lot too - which they've practically put to use in searching out and finding printer's blocks for us - and now, a press! We really can never thank them enough. Our new addition made her debut at our Urban Craft Uprising booth. 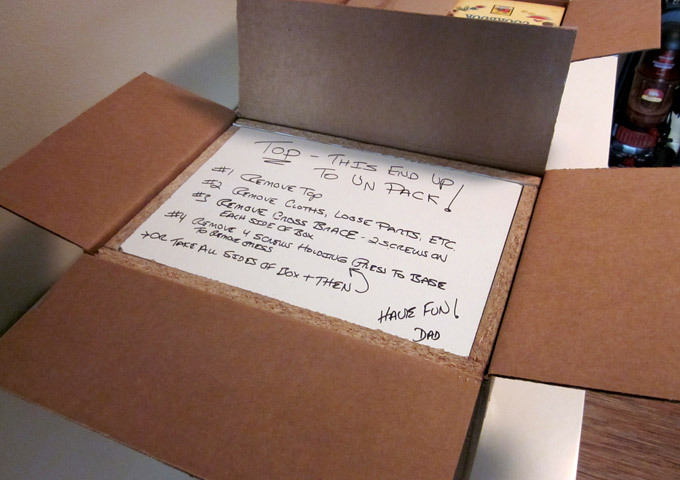 It was the perfect tool to show everyone who stopped by how the printing process works on a small scale. It was such a joy to see kids' eyes light up when they saw her work! We have lots of tiny prints planned for our new friend, which we'll share with you soon! For more information about Sigwalt presses, you can read the original instruction manual for the Chicago presses online (which is where I got a lot of additional info about this particular press). A great article on the Sigwalt company history can be found here.